Home security is a big deal in the modern age. Aside from security gadgets being cool to mess around with, today’s home security technology truly gives a homeowner like you and your family a lot of control over how your home security operates. Since this technology has been adapted to work with pre-existing mobile devices, this makes it possible for you to keep a finger on everything that goes on around your home: even if you are gone away out of town. This truly helps you to feel like a king in your own castle: even when you are away on a trip. Here are a few examples of how technology has changed your ability to secure your home. With the advent of camera technology, your security measures went from having no ability to identify what was going on outside a home’s perimeter to being able to obtain long range footage the moment anything approaches your home. Today, you can install monitored security cameras that have smart features. This means they can communicate with other pieces of your security system, or if necessary automatically alert you to a problem like an intruder attempting to gain access into your dwelling. If you want a professional to do the monitoring for you, this option is also available. With the ability to store digital camera data in the cloud, this makes storing and retrieving countless gigs of recorded footage both cheap and easy for a homeowner like you. 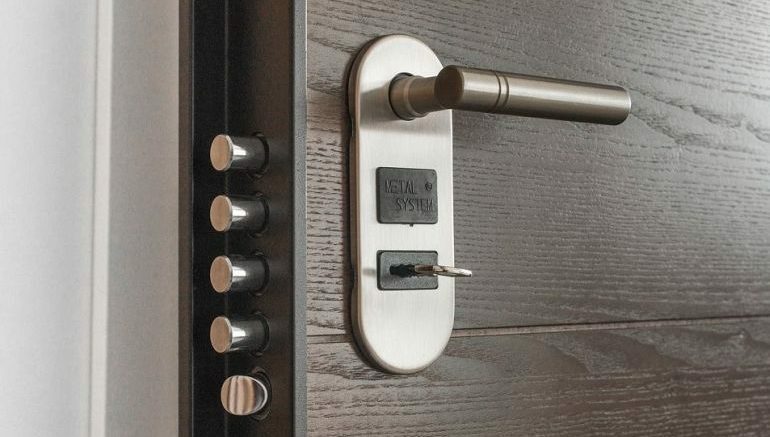 Your home can now be outfitted with sophisticated smart locks. Many of these smart locks have detection technology to identify when you are approaching your home’s door, and can be set to automatically unlock the door for you. If you prefer to unlock the door yourself, however, the technology can be adapted to your personal preferences. This is what a smart locking system can be leveraged to do: keep you safe while offering you numerous degrees of programmable flexibility. When it comes to identifying you as the homeowner, your security system can be augmented with the ability to require a fingerprint scan. Since fingerprints are relatively unique, from one person to the next, you can add this measure to your security system to help make your home less accessible to intruders. Additionally, a fingerprint scanner can be calibrated to check for more than one person’s fingerprints. This means anyone in your family can potentially have access to your home, but in the case of anyone else, whose fingerprints are not logged on file with your fingerprint scanner, the fingerprint scanner will not allow them through. At the heart of any comprehensive home security system is the all-important smartphone app. With the ability to connect your smartphone to your home security system, your entire home’s security system can be controlled from the palm of your hand. Not only does an app-based security access point give you remote mobile access over your home security system, but it allows you to tap into other key features of your smart-enabled home. You may want to change the temperature inside your home by remote, turn on and off appliances or even set your favorite show up to be recorded in your absence. Being able to access other remote systems through your security system is what utilizing the power of modern technology is all about. Security is something you cannot put a price on—especially when it comes to keeping your home and family safe from intruders. Fortunately, new technologies are being developed and brought to market each day that help to give you the power to fully customize how your home security system will best serve your security needs. As this technology becomes more and more affordable, this makes it possible for you to obtain the latest technology used to make your home security system perform right on the cutting edge. The guest post was written by Rachelle Wilber. Follow her on Twitter and Facebook.